This past week has been the most busy so far. Monday I was in the Cornell Cooperative Extension office in Washington County, and I found out that they were given a grant to work at the local prison creating a garden with the inmates. I was able to help plant the garden with seeds and various plants like basil, tomatoes, onions, rosemary, cucumbers, and even flowers with four of the inmates. It was hard to believe that they do not get to go outside. The people who were participating in the garden program were all very kind, and one man took leadership in the group, telling us how the layout of the garden should be and the best ways to plant things. It is a great opportunity for the inmates to learn about growing their own food and supplement their kitchen. Then on Tuesday I met up with another CCE intern and a CCE employee to go to a Farm Auction. 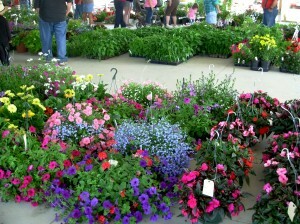 The plants and produce and hay being auctioned off looked great. There were a lot of Amish farmers there. The horses they use all seemed so strong and beautiful. It was neat to see how the auction worked, and just incredible how fast the auctioneer talked! I had to remember not to raise my hand accidentally, or else I would be bidding on something! It must be hard to be there and see your product up on the table and have your profit, break-even or loss, be decided upon by others. Later that day we visited a beautiful garlic farm that used to be a dairy farm. They now used one of the barns for drying the garlic out, and the farmer was looking into putting together a ventilation system for the garlic with fans. It was cool to learn about garlic raising and be a part of the process of figuring out the ventilation system. 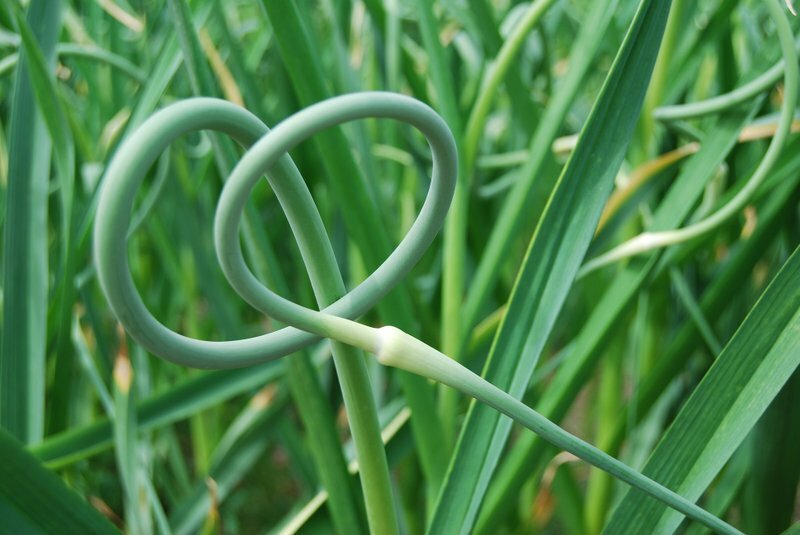 We even got a taste of some of the most potent garlic scapes I have ever tried! Super delicious garlic scape! So garlicky! 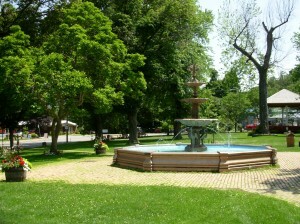 That day we had lunch in a beautiful park and it was great to be outside and enjoy the sunshine. The rest of the week was just as exciting. Wednesday I spent most of the day finalizing mailing list, the survey and cover letter. It was quite a process going through the final population list that has been randomly selected and making sure I had all the right names, addresses, zip codes, numbers, etc. for all of them. On Thursday everything was printed and I got to see how everything worked in the office. There is a great machine that folds the paper to go into the letters, an automatic stapler, and even this goo to help you turn pages instead of licking your fingers! It was awesome! But we also soon found out that the mailman was leaving at 3:00, and it was 2:30 and we had not printed the labels out, or finished stuffing the envelopes! With three of us working like a well oiled machine, we were able to each focus on one task and get the folding, stuffing, and labeling all done. We got the final stack of letters done at 3:04 and literally ran down the hallway after the postman to get them in on time. It was so nice to be done with that portion of the project. There were high-fives all around. Thursday I did my first survey! It was exciting to see real numbers in the tables and blanks all filled in on the pages, and commenting on the process. I also sat in on a meeting about a great new program called Schoharie Fresh. It is still a work in progress, but the idea is to have a website store where farmers update their products weekly and you can see pictures and read detailed descriptions of each one. Then early in the week customers can order whatever they would like. The order will then be filled in the middle of the week and ready for pick it up at one main location at the end of the week. It was cool to sit in on the meeting and hear about the process of making it all happen. The second week of my internship was quite intensive! On Monday I ran my first polycom, which is sort of like skype for businesses, so you can do a video conference call between a few different locations. It was an experience figuring out how to plan the agenda and run the meeting, and it all felt very futuristic. We got some great input on the survey and cover letter and it was really nice to know that people are interested in the project and willing to help. My goal for the week was to put together the population for the survey we are doing and to finalize the survey and cover letter so that I can mail them out as soon as possible. It has been really awesome to drive around the Capital District and see gorgeous landscapes and so many farms. 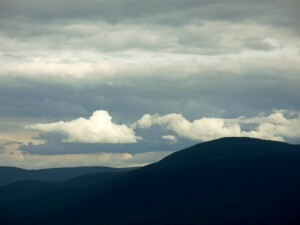 The clouds and mountains were lovely on the drive to Troy on Monday. The hardest part of this week was gathering all the information about farms from all 11 counties. We are surveying farms of all sizes, with all types of products from dairy to meat to vegetables to maple syrup, and all types of farming practices as well. Cornell Cooperative Extension employees were instrumental in helping me get a population together for the survey. I am so grateful for the time many people spent organizing and emailing me lists of farms and addresses and various other contact information. From this final list, a random sample will be taken from the population, around 200 farms, and I will mail them the survey. It will then be my job to call each farm and set up interviews to get the data. The survey is intense, and it will definitely take some time to get all the information we need. Despite how hard it may be to get the responses we need in the busiest time of year for farmers, I am excited to start the surveying process and to get to meet so many farmers. I think that the organization of interviews will be the most challenging part of the the rest of the summer. 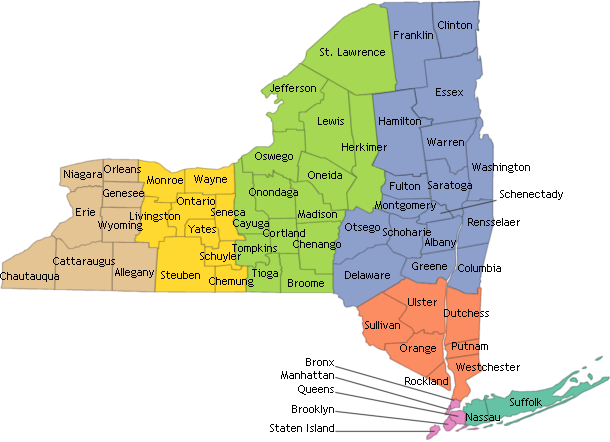 With such a large area to cover, and only a few days in each county, it will be quite a process! I have a total of around 35 days to get all of the surveying done, and friends to stay with along the way when I am hours from home. With luck I will get the survey process rolling smoothly and mailings out promptly! Hello! I am Rosy, a soon to be senior and this is my first blog post about my summer internship with Cornell Cooperative Extension as their Ag and Natural Resources Intern. I have been hired to work on a project with the obective of identifying the impact and contribution of local agriculture production on the greater Capital District economy. The study will be conducted in 11 counties in the Capital District (see map above) and I will be driving all around the region surveying farmers with at least some of their products going locally. Since I live in Western Massachusetts in the Berkshires, it will be a lot of driving, but I just have to make sure to keep finding good new music to jam to! The first week was a little overwhelming, but also very exciting. I got a general introduction to the project at the CCE office in Troy, and started organizing, emailing, and learning more the entire week. I got to meet Dr. Schmit who is in charge of the study, and Laura McDermott who is my main advisor who works for Cornell Cooperative Extension (CCE) mostly on the Capital District Vegetable and Small Fruit Program, and she is wonderful! It was a little hard to get through everything the first day because I was still getting over jet lag from coming back from studying abroad in New Zealand for the semester. My main job this summer is to organize and do the surveying in all 11 counties. We have been working on creating a final draft of the survey, and just gathering lists of all the farmers in the district so that we can then create our population. We have already gotten a lot of feedback on the survey from farmers and extension agents from all around and its been quite a process figuring out how to get the results we need in the busiest time of year for farmers. I may need to do some bribery baking this summer! 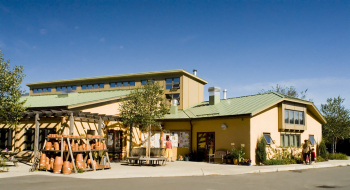 The Hawthorne Valley Farm Store! On Thursday I was able to head down to Columbia County and visited Hawthorne Valley Farm which does biodynamic farming and also outreach and educational programs! It was a gorgeous farm, and it has a wonderful farm store where I ate a delicious fresh lunch! That same day I also got to visit with people from the Farmscape Ecology Program which is an educational non-profit with a primary goal to stimulate, facilitate, and inform exploration of Columbia County. The entire first week it was awesome to meet so many people and hear about what they do and get feedback on our project as well. I think my favorite part of the project will be meeting farmers and getting to see so many different types of farms. My second week in D.C. went great, moving up in the chain and starting to take on some serious challenges and tasks in the office. Seeing some weakness and holes in the office structure for constituent support, I was able to take control after being left as the only intern in the office to really patch up some problems and create better foundations for constituents. I completely overhauled the tour systems and also the response systems we have in place. I am also in the process of creating an organized system that we will be able to transfer between shifts in staff. This ability to transition will give us greater flexibility and ability to transfer responsibilities within the staff. On another side I was able to participate in some lectures with some great leaders. For example, last week a speech by Ralph Nader, not in my opinion a man with great views, but he does have a fairly strong support base. This week I will also see former Secretary of Defense, Rumsfeld. Last week we were in recess, so I walked on the floor, which is an interesting experience that really puts our government in perspective. I was also able to get a behind-the-scenes look in the Speaker’s office and walk along the Speaker’s terrace–one of the best views of D.C. There is no shortage of things to do and see in D.C. I spent my weekend talking with other interns from across the country and visiting the mall. I am hoping to get over to USDA sometime this week and also take on more responsibilities in agriculture policy with Ag Appropriations coming up.